This statistic shows the impact of travel rewards programs on what hotels/airlines/etc. people used while traveling in the United States as of June 2014. 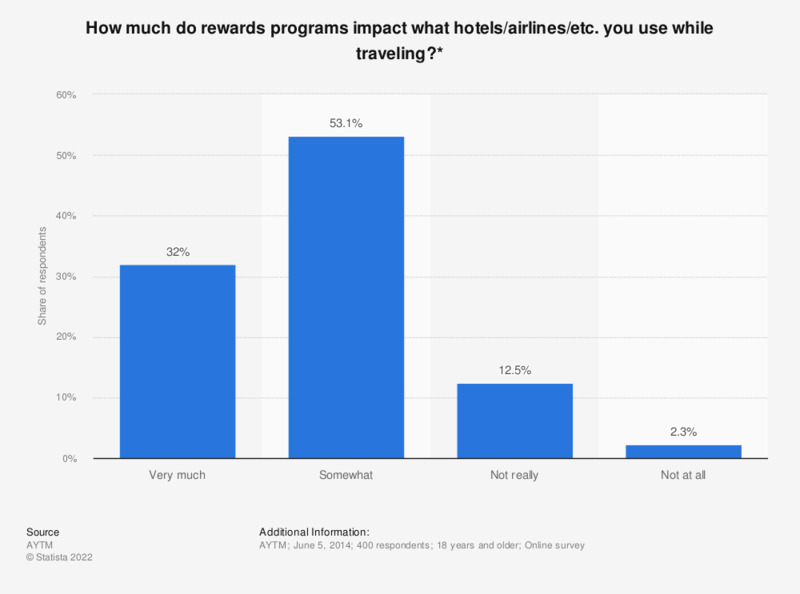 During the survey, 12.5 percent of respondents said travel rewards programs did not really impact what travel products they used. * This question was phrased by the source as follows: "How much do these rewards programs impact what hotels/airlines/etc. you use while traveling?"